My name is Don Biswas and I have been performing stand-up comedy since mid 2007. My unique set combines both razor sharp one-liners, with humour about having Dyspraxia (organization and coordination difficulties) and mild traits of Asperger's Syndrome and the effect it has had on me, while coming from a middle class Indian family. Also thrown into the mix are quirky observational, political and topical humor. Twice Winner of the Comedy Store King Gong Show in London 2009. I am available for 20-30 minute sets. I currently do paid twenties for Great Comedy nights and Funny Farm Comedy Club (in Slough and Eton) among others venues. I also do paid 15 minute sets for Picadilly Comedy Club, Soho Comedy Club, Downstairs at the Kings Head, Crack Comedy Club as well as paid 10 minute sets for Banana Cabaret among others. I also have open spots coming up both for the Comedy Store and Glee Club (Birmingham). 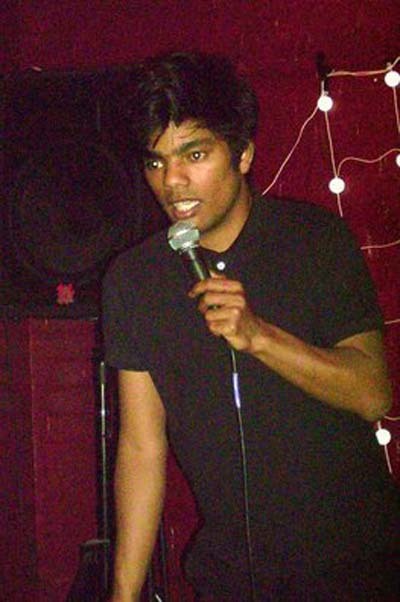 'Don Biswas is a unique performer who boldly takes to the stage despite suffering from Dyslexia, Asperger's syndrome and Dyspraxia. A phenomenal gag teller with an engaging stage persona, Don Biswas shows all the signs of a truly great comic'. Hecklers Comedy Club.